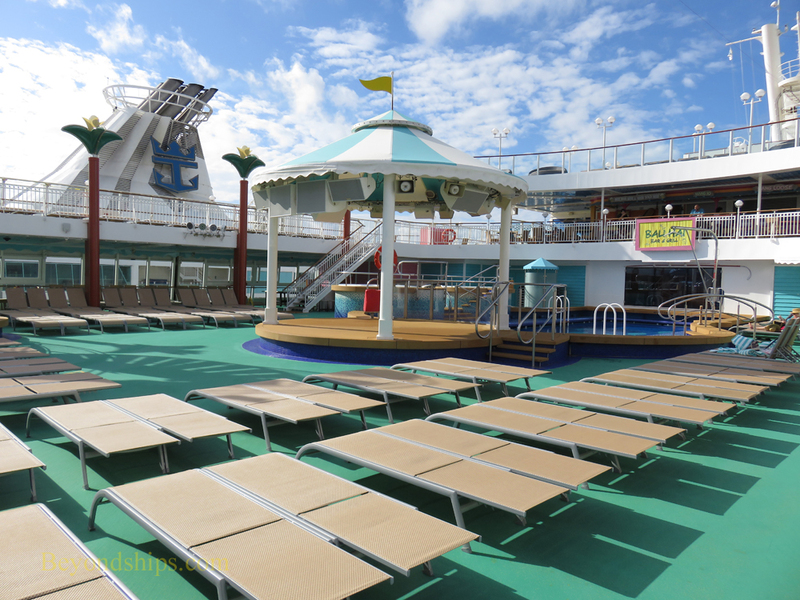 The Tahitian Pool area is located in Gem's midsection. 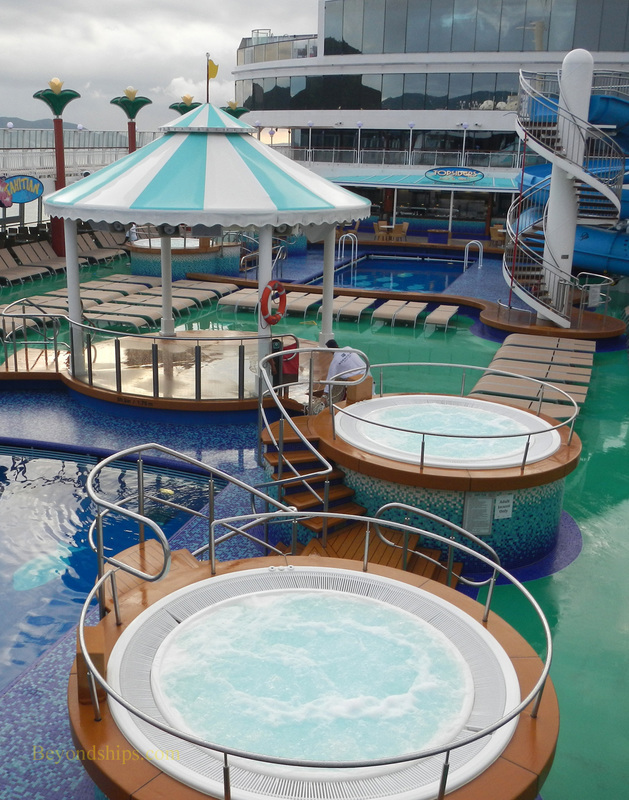 It has two pools, four hot tubs, a water slide, a bandstand, bars and eateries. 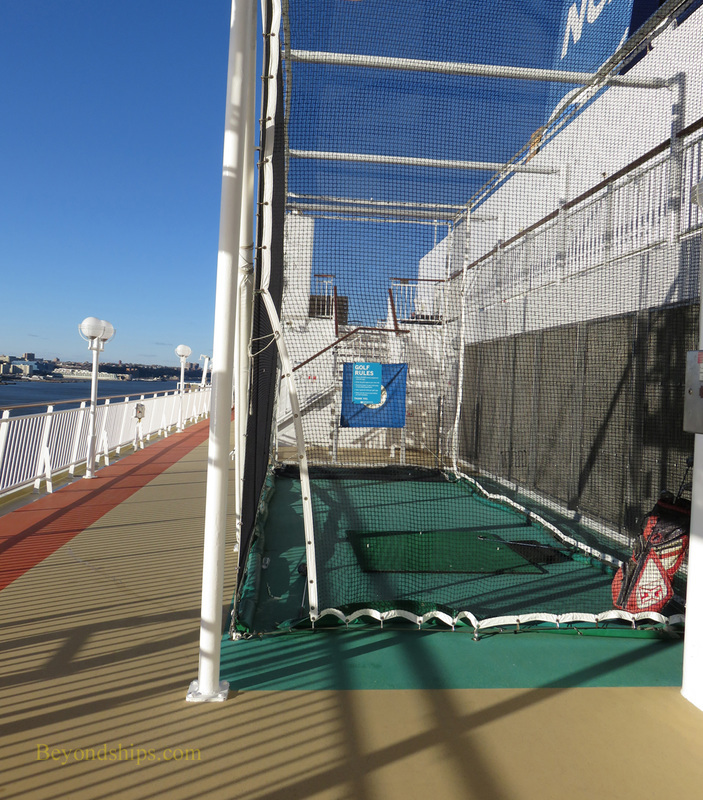 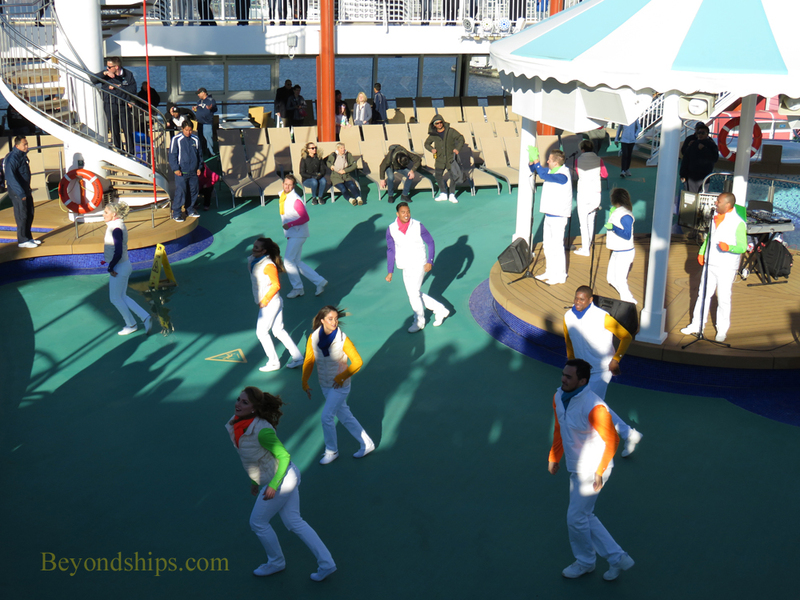 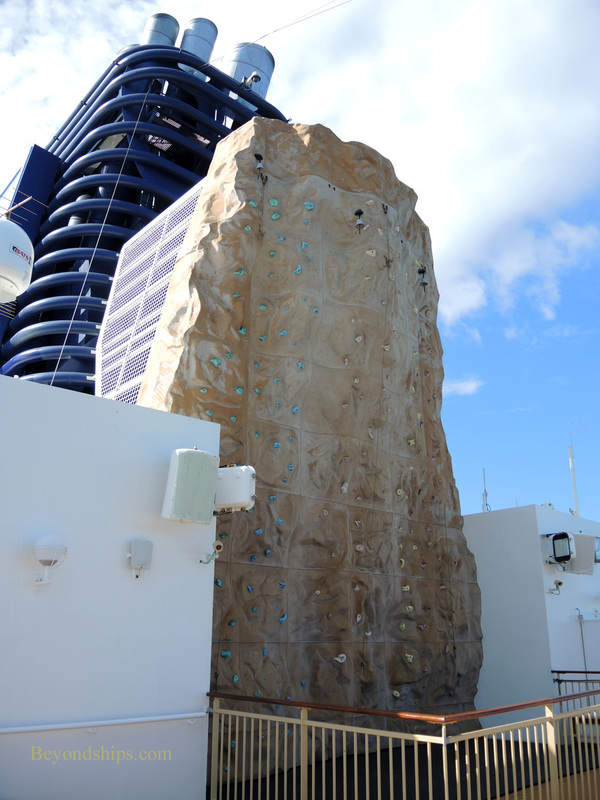 This area is also used for outdoor events such as sail-away parties where the cruise staff and the production cast perform. 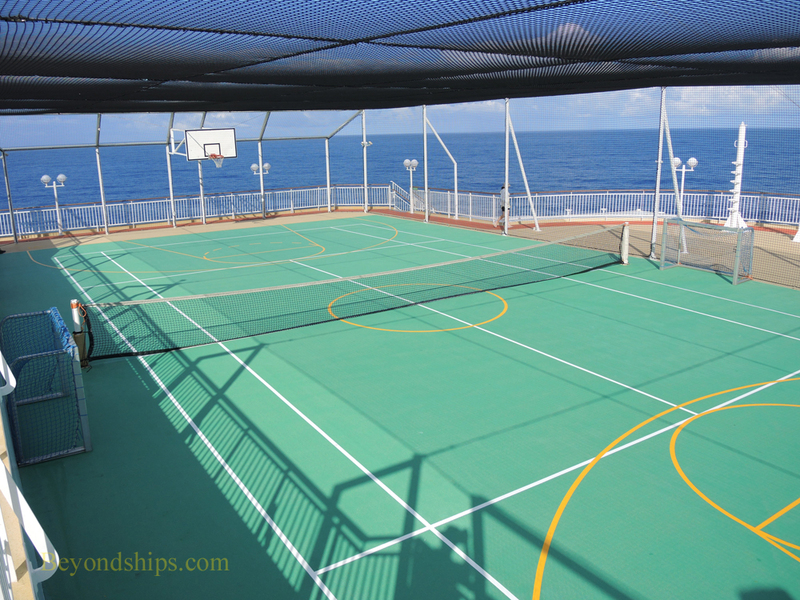 Sports facilities on Gem include The Basketball Court (above left); The Jogging Trail (above right); The Golf Driving Nets (below left) and The Rock Climbing Wall (below right). 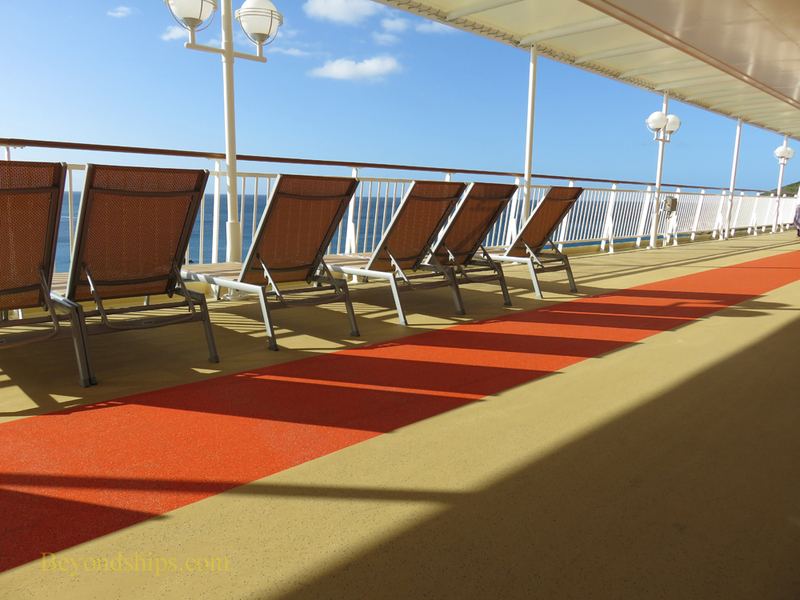 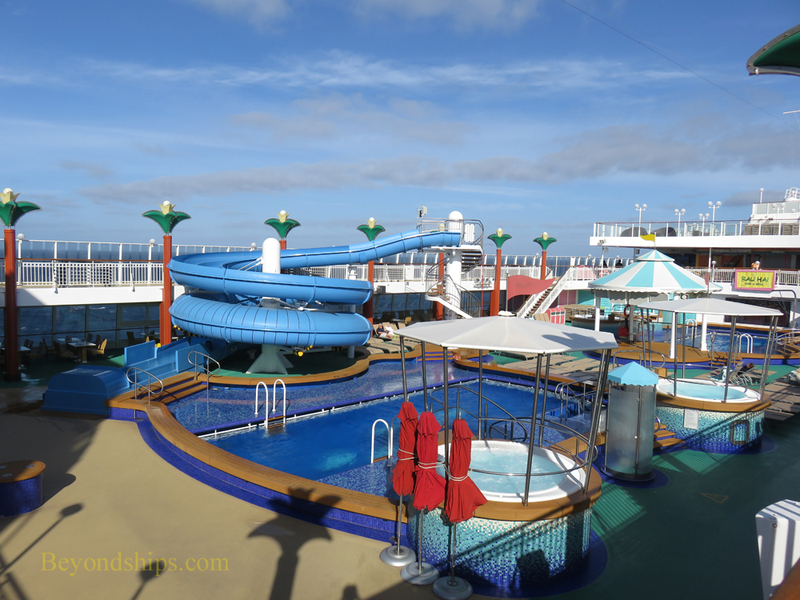 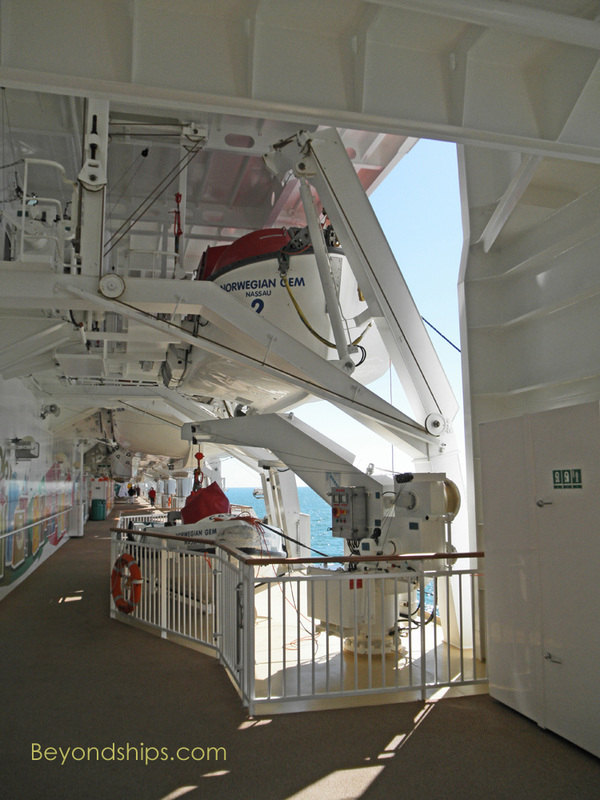 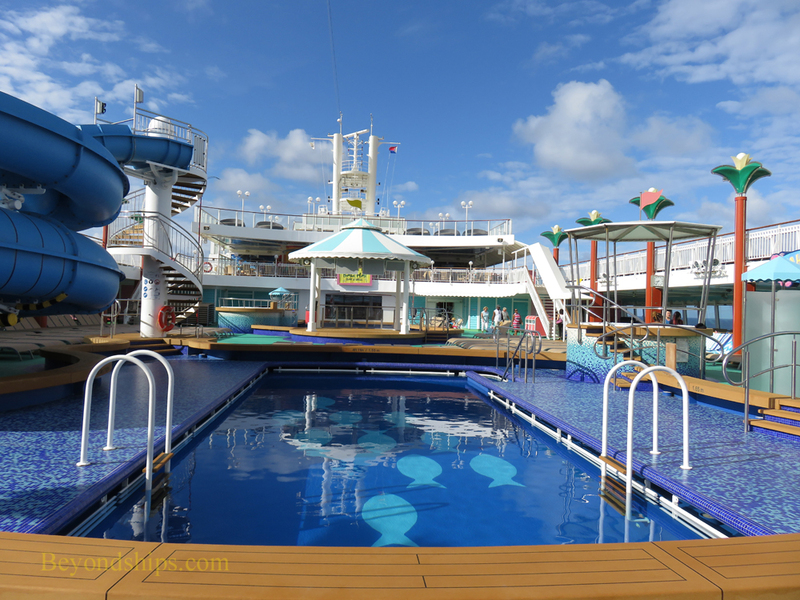 Alternatively, you can stroll Gem's wrap-around outdoor promenade on Deck 7 or relax in a deck chair..